Computer Vision refers to a type of artificial intelligence that can identify and correlate pictures by recognizing and categorizing the specific features present in an image. 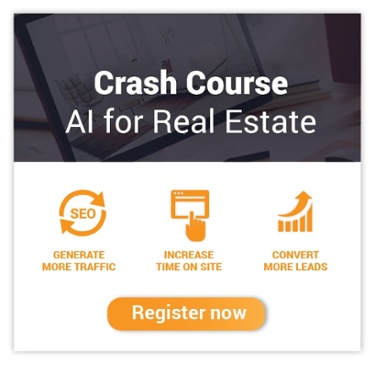 It refines conventional online searches by matching prospective properties with queries that people type or speak with natural language. For instance, if someone were to search for an apartment for sale, they could specify certain features they are looking for in a property. Instead of just typing, “apartment for sale LA” or “1 bedroom apartment for sale LA,” they could write, “apartment for sale 1 bedroom 1 bathroom hardwood floors LA” and get images and sites that meet the criteria. One of the best ways that Computer Vision can generate leads through your website is to make your property photos visually appealing and engaging. In this instance, aesthetics and technology will help you find more prospective customers. This is where home staging comes in. Just as chefs subscribe to the art of “plating” to make dishes visually appetizing, the art of “home staging” is done to make a house visually desirable. It emphasizes the aesthetic quality of a room through the use of furniture, decorations, art pieces, and lighting. It compels a user to want to see more of the room in person through the use of contemporary or classic design. As visually inclined beings, we tend to draw our own assumptions based on what we see. Home staging takes advantage of this by putting a house’s best foot forward, revealing its perfection by visually eliminating all of its flaws. Clearly detailed, well-arranged furnishings in photos are more likely to generate comprehensive metadata and tags for images than cluttered amateur shots. The more specific a photo’s metadata is, the higher its ranking on search engines. An image stands to appear in more search results if it has more tags attached to it. For instance, online search results will more highly rank a picture that has four tags describing an image than a picture with just one tag. Home staging leads to images with distinct, desirable elements. A.I. prioritizes photos that it believes the viewer will be aesthetically interested in, based on the viewer’s previous searches, filters, and image choices. If property photos consistently include trendy pieces of furniture or popular decorative elements, it will have a higher chance of being discovered by leads with similar tastes. The more visually appealing a picture is, the more views it receives. Even if people are just browsing, their actions are taken into account every time they click on a picture to view it. If a picture has a considerable amount of views, the search engine algorithm will prioritize it over other pictures that may not receive the same amount of organic attention. Home staging essentially creates photos of what people want to see. Computer Vision helps ensure that the right people see the photos. Arranging a room to be as visually attractive as possible creates compelling media; however, those images remain irrelevant until the people who matter find them.